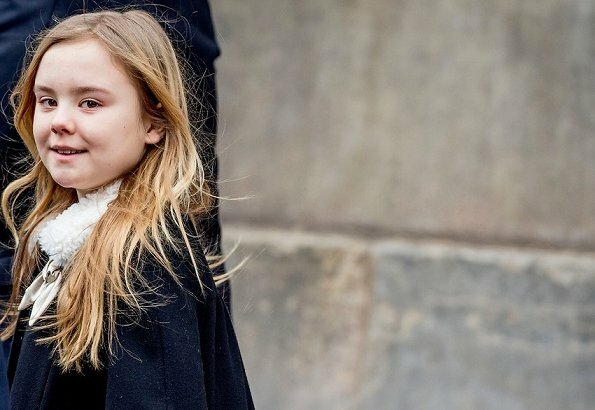 Princess Ariane of the Netherlands celebrates her 11th birthday today. Princess Ariane is the youngest of King Willem-Alexander and Queen Máxima‘s three daughters. She was born in the late evening on 10 April 2007 at the HMC Bronovo in The Hague. Princess Ariane is third in line to the Dutch throne. Happy Birthday to Princess Ariane! Happy 11th Birthday to Princess Ariane of the Netherland ! Esta niña es el vivo retrato de su padre. Feliz Cumpleaños.